Our corporate partners donate their time and money to fuel programs that are critical to our fight against hunger. M&T Bank Merritt Properties, Inc.
Gain visibility and entertain clients while supporting our mission. Help provide our vulnerable neighbors with nutritious food and pathways out of hunger. Like a traditional food drive, but much easier. Create your own in just a few clicks. Interested in Other Corporate Partnership Opportunities? 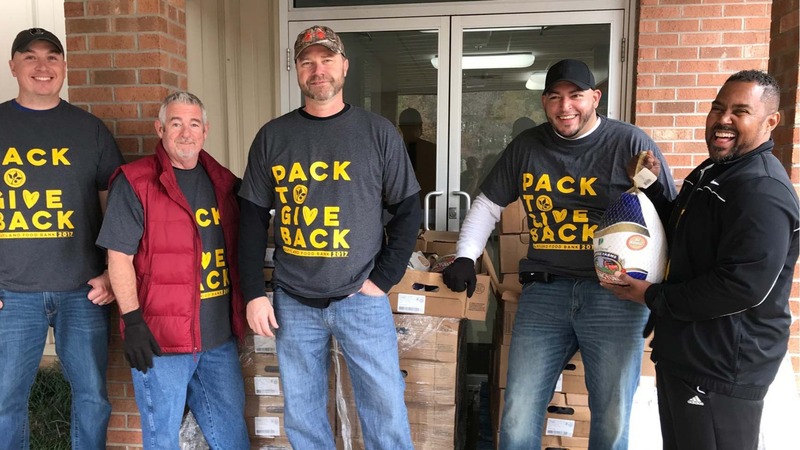 From special events to volunteer opportunities, there are many ways your corporation can partner with the Maryland Food Bank. Sign up to hear about ongoing opportunities.